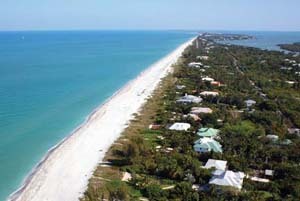 Is there such a place as "Downtown" Captiva? 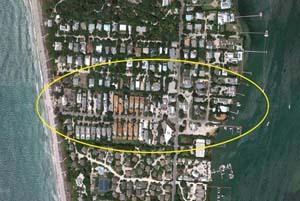 It's probably something I determined on my own, as I picture Captiva's Downtown only consisting of a couple roads and my office. I consider Andy Rosse Lane to be the main road, even though you can walk its length in under 5 minutes. At the inland side of Andy Rosse we have the island's only stop sign, which also lends credibility to my determining the island's hub of activity. Andy Rosse Lane consists of restaurants, homes, townhomes, our general store and some really interesting shops. From eclectic art to water sports activity, the shops along Andy Rosse will hold your interest for hours. When you finally make it to the western end and the beach, you can walk the secluded shores for miles. On Andy Rosse there are currently three homes listed for sale. There is a 5 bed, 5 bath for $1,999,000, a 5/5.5 for $2,375,000 and a 4/4 for $2,395,000. All three of these listings are unbelievably beautiful and offer just about everything you would want! 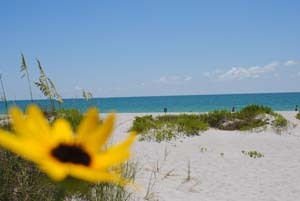 Privacy, while at the same time being located just a short walk to the beach and some of the best restaurants in Florida. Across from Andy Rosse (through our stop sign) is Binder Drive and Old Lodge Lane. I also consider this to be in our "Downtown" area and another favorite part of the island. On Binder Drive there are four homes listed - from a 4/2 for $949,000 to a 4/5.5 for $3,950,000, which is a unique bay front home that is surely one-of-a-kind! Old Lodge Lane branches off of Binder but there are currently no listing on that short road. Running parallel to Andy Rosse (the next road to the north) is Wightman Lane. Wightman doesn't have the shops or walking traffic that Andy Rosse does, but the homes are just as unique and worth a look. There are currently five homes available on Wightman starting with a 2/2 for $1,025,000 to a 5/5 for $1,795,000. 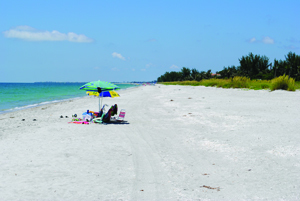 Captiva Island real estate listing are always changing and I would love to hear from you so I can tell you more about this incredible island! You can call me at 239-691-4915 or just use my Contact Form. You can also watch a video of Captiva on my Captiva Webpage, and also check out my Captiva Gulf Front home listing - a 4/4 with an incredible rental history! So don't delay! Season is here and this looks to be a busy real estate year.